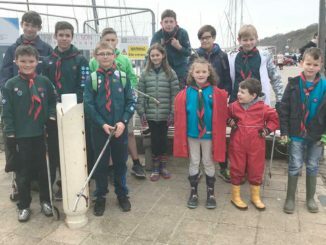 EXPLORER Scouts from the Charmouth Seagulls Unit decided to make a late entry into the Bridport Fashion Week with their stunning series of “creations in plastic” themed designs. 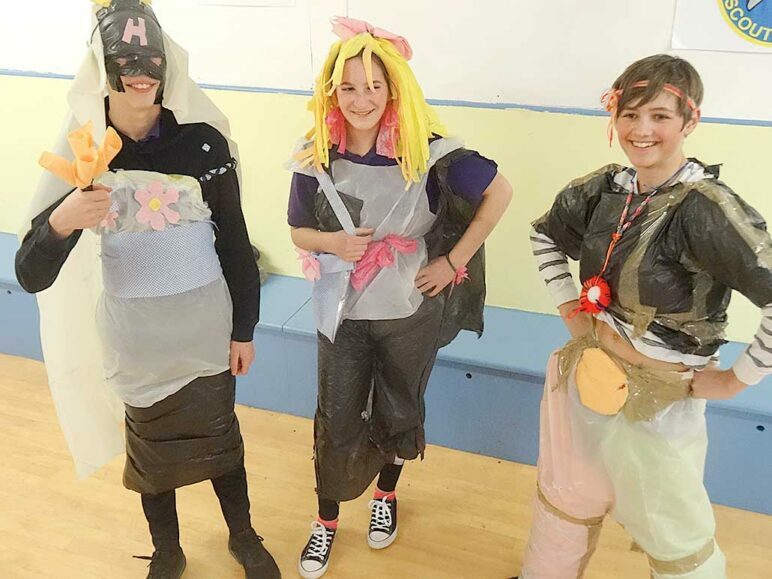 Each creative team was given the same starting materials: an assortment of different coloured bin bags; a roll of multi-purpose cleaning clothes and a reel of duct tape. They then let their imaginations run wild in a frenzy of cutting, plaiting and taping. Some concentrated on head gear, wigs and handbags, while others set about designing outrageous top and trouser combinations. 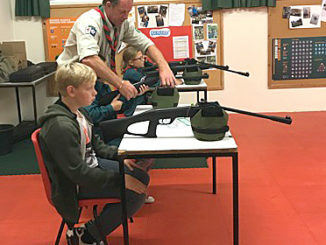 And the results were truly stunning – creating a real ‘wow’ as the three carefully chosen models showed off their ‘haute couture’ on the hastily assembled (and somewhat unsteady) catwalk. 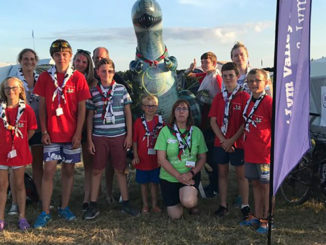 Explorer Scout leader Melanie Harvey said: “This was one of the activities we penciled in as part of our new member recruitment programme, and I was delighted how the older and newer members worked so closely to come up with such stunning outfits.